Louisiana Tech biological sciences assistant professors Dr. Natalie Clay, Dr. Julia Earl, and Dr. Terri Maness, along with UTeachTech Master Teacher Chris Campbell, have put together a workshop for environmental educators in Louisiana. The Louisiana Environmental Education Commission (LEEC) Short Course is titled “Using Mobile Devices to Track Biodiversity in the School Yard and Habitat Restoration Areas,” and will be presented from 9 a.m. to 4:30 p.m. Saturday, Feb. 16, on Tech’s campus at Carson Taylor Hall, 1 Adams Blvd, Ruston. Grade Levels will be divided into 5-8, 9-12, and college. Registration deadline is Friday, Feb. 8. The LEEC’s purpose in these “Short Courses” is to bring environmental education professional development to communities all around the state. “Ecological Restoration is a key tool conservation biologists and natural resource managers use to create new habitat for plants and animals and to restore ecosystem services to people. To understand the impact of restoration and the success of those efforts, the changes in ecological communities need to be monitored over time. These changes can be assessed by monitoring changes in the number and type of species of plants and animals found in the restoration area over time. 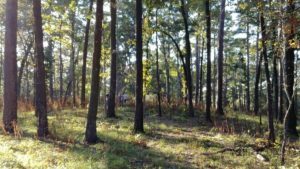 “Our workshop and tour will involve a discussion of restoration, particularly of the Shortleaf Pine ecosystem, which is endangered in Louisiana. We will tour Wafer Creek Ranch, which is one of the only Shortleaf Pine restoration projects in the state. Teachers will acquire skills and knowledge about restoration and wildlife through learning about multiple restoration practices and active engagement in techniques used to monitor wildlife with an emphasis on how these can be employed in classroom activities.